When it comes to large building projects, we have the expertise and the man-power to deliver fast, efficient brickwork in a safe environment. As one of the leading brickwork companies in Hampshire, we supply experienced bricklayers for a wide range of large construction projects across the South of England. With a team of over 500 bricklayers, we are part of The Champion Group and can supply plant and materials as well as quality labour. 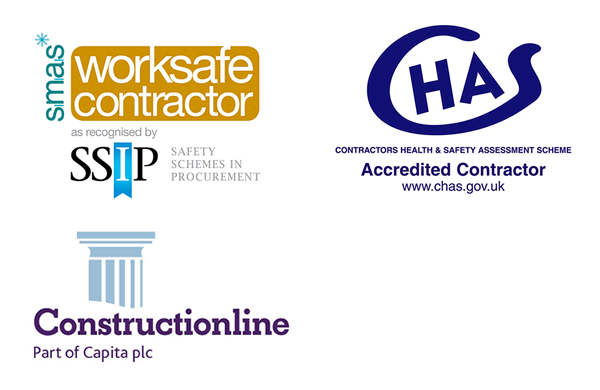 Champion Brickwork works on the foundation of partnership, focusing on quality and service, backed up with an impressive safety record and £10M public liability and employer’s liability insurance. We have recently complete 12 months without a RIDDOR incident in the building division which means we have a rolling AFR of zero which is a fantastic achievement. I wanted to thank you personally for your contribution. As a manager you are responsible for putting people to work and to ensure that the men that work under you understand their own personal responsibility for safety as well as looking out for each other. Your role as manager is vital in ensuring that everyone that works on one of our sites goes home safely. I was on site yesterday and I was very impressed with the quality of the brickwork at the RFU project – it is stunning. I always like to pass on positive feedback. Please pass this on to the bricklayers who completed the work. It’s good to know there are still craftsmen in the industry. We commenced the above on 13th August and next Tuesday handover the last units to the client. On behalf of all the team at Howarth Homes I’d like to pass on my thanks for your assistance in achieving in what is a high standard of product. Both the Employers Agent and client acknowledged this in a meeting I attended yesterday, and congratulated us on what has been one of the best housing schemes that they have worked on in a long time. We would of not been able to do this without your help. So thanks! Again, I’d like to personally say many thanks for your efforts of the last 14 months, and look forward to working with you all future projects. Roentgen Court, Roentgen Road, Daneshill, Basingstoke, Hampshire RG24 8NT.